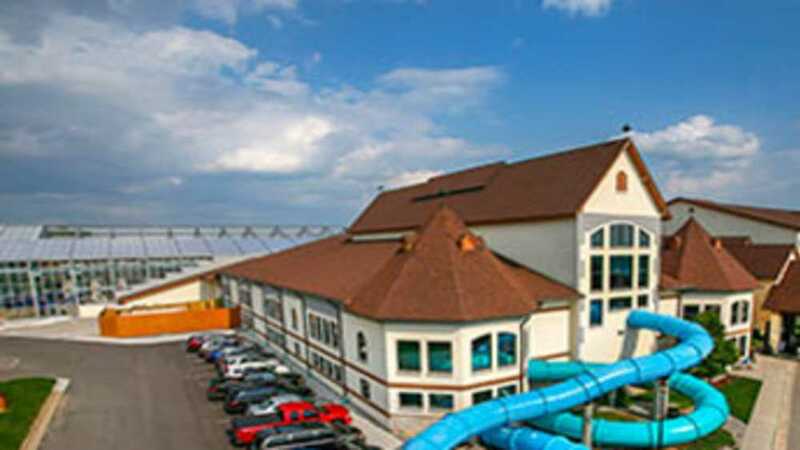 The Super Loop – a thrilling 6-story speed slide, zero entry pool with water geysers, water basketball, and a variety of family water activities, private family cabanas and large family hot tub. For the landlubber have fun in our expanded arcade or dine at Elf Hollow Café. Zehnder's Splash Village Hotel and Waterpark also features Michigan's ONLY retractable roof waterpark!